The Olympics are a fascinating and unique fan experience that has played an important role in how spectator sports are filmed, watched, shared, and experienced. In our last article, we looked at how technology developed for Olympic athletes has, and will, impact the consumer market. Today we’ll look at how innovations in media and fan engagement introduced at the Olympics have also had a ripple effect across multiple industries. From advances in TV broadcasting and camera technology to crowd-sourced and social content, innovations from past and present Olympics ultimately make their way downstream to the mass market. 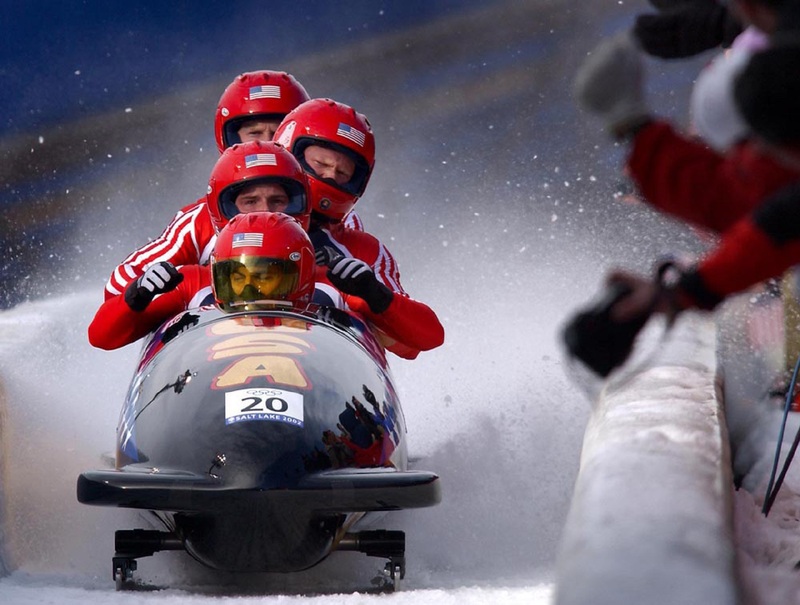 As we take a closer look at this Olympics, we see that regardless of medium, innovations for fans allow for the layering of additional information, data, or services on top of the primary experience. In this chapter of our series, we will look at how innovations in fan engagement throughout Olympic history, present, and future impact the mass market, as well as offer our own projections on potential new concepts. While the Olympics have been broadcasted since 1936, the first Olympics to be televised in the US was the 1960 Winter Games. It was here that officials, unsure if a skier had missed a gate in the men's slalom, asked CBS if they could review a videotape of the race. This would be the impetus and inspiration for CBS to develop what would come to be known as “instant replay,” which has become a staple fan-viewing experience today. Once the Olympics were televised, the race to improve the viewing experience began. Garrett Brown, the inventor of Steadicam, started designing cameras to better capture the action in sports. In the 1984 Olympics, he demoed the Skycam, a computer-controlled, stabilized, and cable-suspended camera system. In 1992, he debuted the first submarine tracking camera system called MobyCam, which was custom invented for the Summer Olympics. In 1996 he introduced the DiveCam, the first “dropping vertical camera system.” Following the path of a weighted tube, the DiveCam chased divers off the platform until they entered the water, and provided a mesmerizing new perspective. All of these cameras went on to be used in other spectator events such as the NFL, X Games, and Indian Cricket League, cementing the Olympics as a testing ground for innovative camera apparatuses. In 2012, TV took a back seat as social media took center stage and the London Olympics became known as the “Social Olympics.” While of course social media wasn’t developed solely for the Olympics, conversations on Facebook and Twitter revolved primarily around the London Games; according to Twitter, the 2012 Olympics generated 150 million tweets, with 10 athletes generating more than a million tweets of their own, including Usain Bolt and Michael Phelps. the overall experience and made them feel closer to the action. Since then, social media has played a major role in shaping traditional media, whether by enabling a live Twitter Q&A with broadcasters, casting a vote for a favorite reality show contestant, or following a hashtag to see the latest conversation about the big game, consumers no longer simply sit on their couch and passively watch programming. Now, they can voice their opinion, influence programming, and interact with fellow viewers in real-time through social media. The Olympics has impacted many aspects of spectatorship — from how an event is captured to where it is watched and even how content is made. What we are seeing in this Olympics, however, is an emphasis on captivation and immersion through both supplemental and overlaid relevant content. In Pyeongchang, Intel is partnering with broadcasters to provide some new and exciting content perspectives. "Sync View" uses an ultra-small camera on a wireless network module to live stream ultra-high definition video using a 5G antenna. As the name suggests, viewers can load two screens at once — one showing the view of the player and another of the regular game broadcast, allowing for multiple mediums of engagement all on one screen. As a way to make the sports (in this instance ski racing) more engrossing, Eurosport and parent company Discovery are rolling out "ghost skier" technology, where a live run is overlaid by a previous one to be compared in real time. This additional information changes the way viewers watch races, giving greater context around the event and making the overall experience more captivating. Finally, to improve the spectator experience in stadiums, Intel and Samsung created a 5G network to cover just the Olympics. The first broad-scale network delivers high-resolution media streaming at gigabit speeds and low latency so companies can layer complementary services on top of the traditional fan experience like mobile VR and a series of immersive on-site 5G experiences. The innovations we see in the 2018 Pyeongchang Olympics act as a harbinger for the future fan experience, as they provide fans with greater context and engagement through the seamless access to relevant information in the moment. While we do see this becoming widespread in sports spectatorship, we also anticipate this having major impact across categories as well. For example, imagine if you could access a swipe-to-see sidescreen that displays the most relevant articles and information on whatever it is you’re watching. Currently, in the Winter Olympics, NBC is trialing a similar “enhanced” experience feature, but what if it was applied to other content verticals, like news, to give you the ability to go as deep into the topic as you’d like? By developing a channel for first and third-party content, OTT and digital media providers would have the ability to generate new revenue streams, increasing hooks to promoted content, while simultaneously enhancing the consumer experience. It also would provide a convenient and seamless answer for the 50 million people that use a digital device while watching T.V. to look up related content. 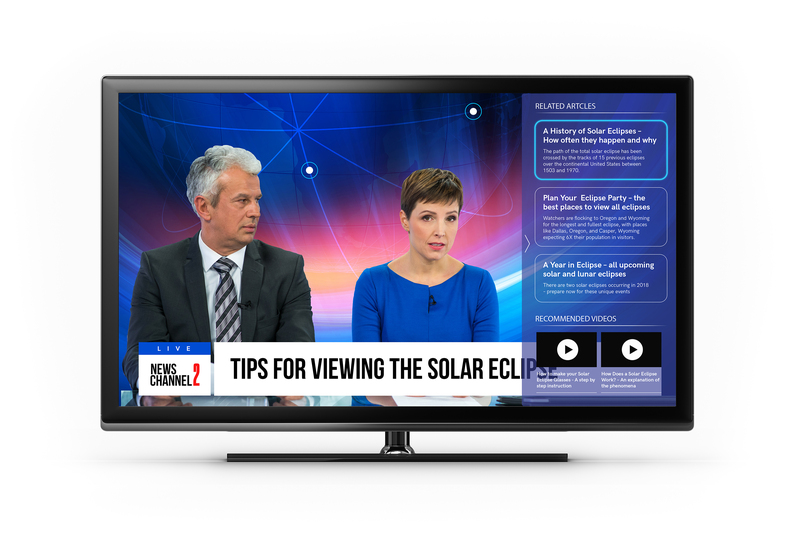 Beyond enhancing the live TV viewing experience across categories, we are also excited about how this feature could influence the in-person viewing experience as well. For example, watching live sports at the stadium brings a level of fast-paced action that TV can’t replicate, but with it, also comes a lot of dead time (e.g. the commercial break, timeouts, halftime). 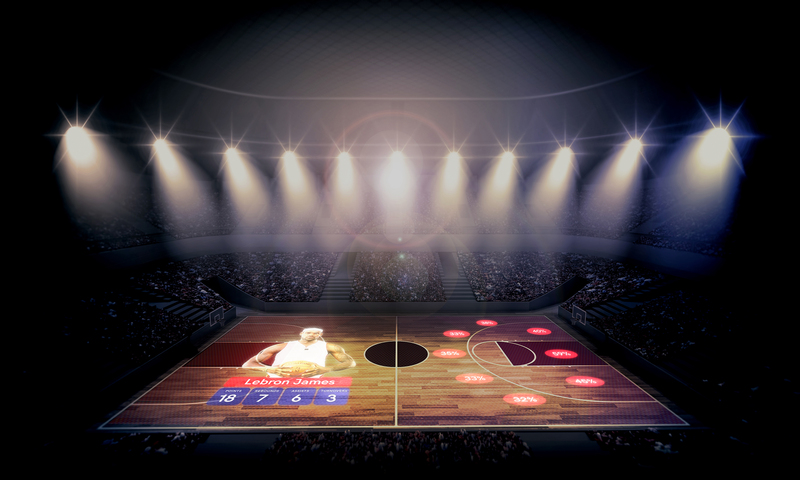 But what if there were an in-stadium offering that could use lights and even holograms to replay big plays and display statistics like shooting percentage directly on the field/court. This would not only educate, inform, and entertain fans during downtime, but create a whole new experience that is unique to the stadium itself. Today, consumers are already finding relevant content in real time to enhance the experience, but in the future, it will be intuitively and intelligently provided for them. Treat your fan experience the same as an OTT channel — as a platform designed to be built upon. Transform the 80% of game time spent in breaks into branded downtime. Fans are becoming more like data scientists — feed them more information to feed their passion. "What other content are consumers looking at while experiencing what you have to offer?" We hope that you’ve found our analysis of innovation surrounding the fan experience insightful. We look forward to sharing the next and final chapter of our three-part series in the coming weeks. It will provide a more in-depth review of the impact the Olympics has on innovation through the key lens of cities. 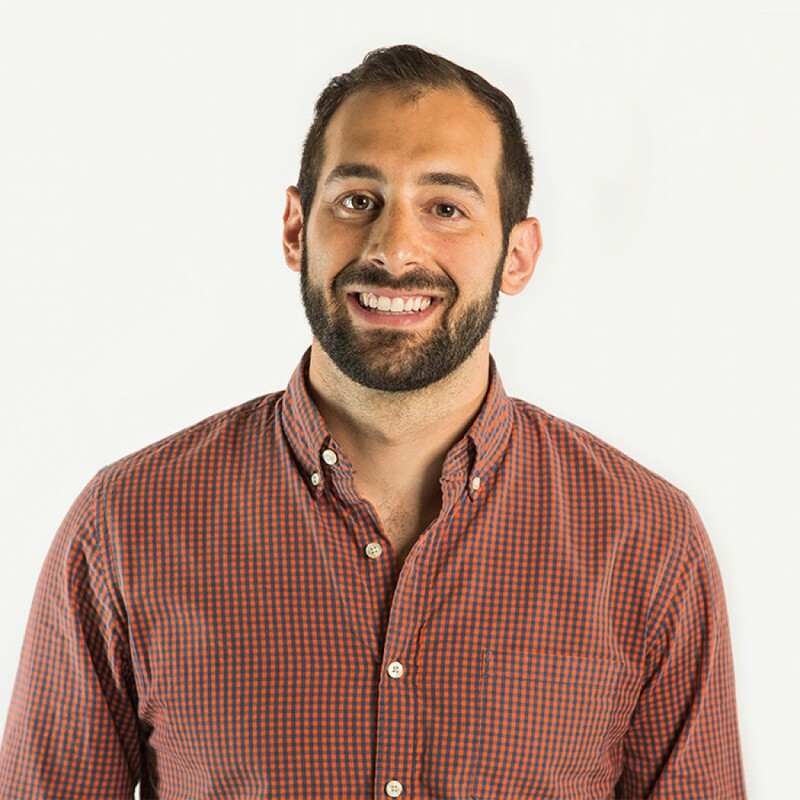 Corey is an Engagement Manager in our New York office. 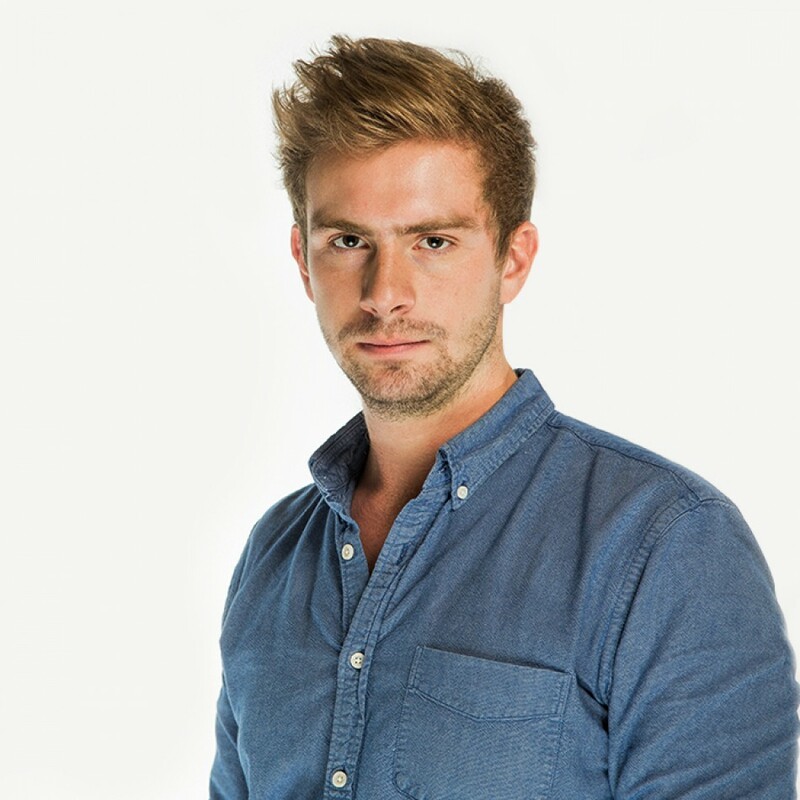 Corey is passionate about digital innovation, having consulted for tech companies, advised startups, and designed digital products/services throughout his career (and in his free time). © Fahrenheit 212 2019. All rights reserved. Part of the Capgemini Invent. We are a global innovation consultancy delivering sustainable, profitable growth for companies with a passion for making things better, and making better things. Fahrenheit 212 is part of Capgemini Invent.